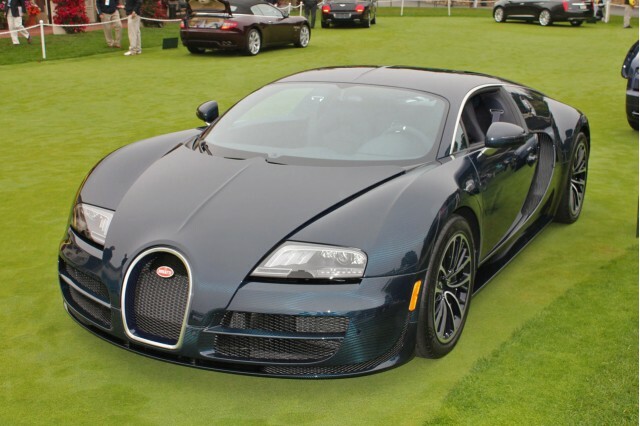 Declination for this rather extravagant, the Bugatti Veyron 16.4 Super saw the power of his little W16 engine 8.0 liters spend 1001 to 1200 horsepower while torque gains 184 lb-ft to establish a 1,106 lb-ft. An increase of 20% of its weight made possible by the use of four turbochargers and air exchangers rebalanced. His frame and body are made of carbon fibers in order to lighten the weight. It will also be understood that the geometry has been reviewed and improved, especially in terms of its suspension. 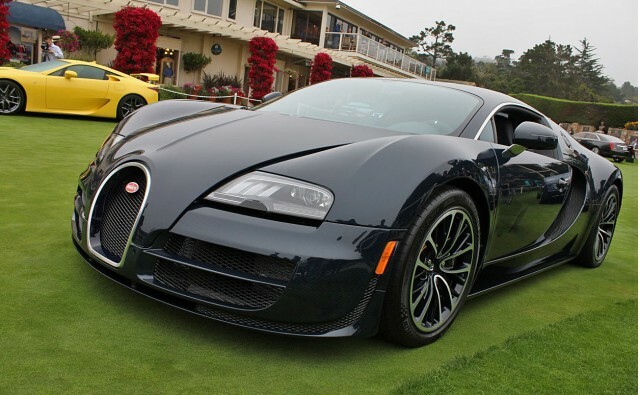 And it is from these specifications well filled the Bugatti Veyron 16.4 Super Sport could be assigned a speed record in the Guinness Book Company. 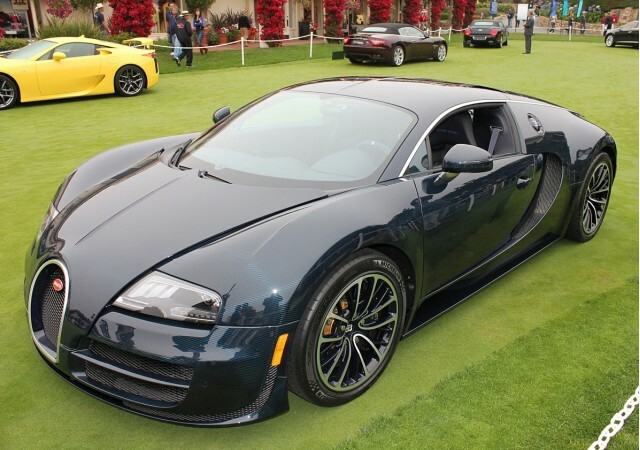 These speeds, which is a record, have been carried on the test system is a Volkswagen Ehra-Lessien. The first lap gave a top speed of 427.933 km / h while the second reached 434.211 km / h, which justifies the mean peak speed 431.072 km / h. Driving, we find ourselves testing the Bugatti driver Pierre Henri Raphanel. Unfortunately, very few versions that have the honor to be produced will be clamped to a top speed of only 415 km / h.
This exceptional car will be officially unveiled in the Concours d'Elegance in Pebble Beach, California. The very limited production of this fabulous fireball integral traction will commence this fall in Molsheim in Alsace. 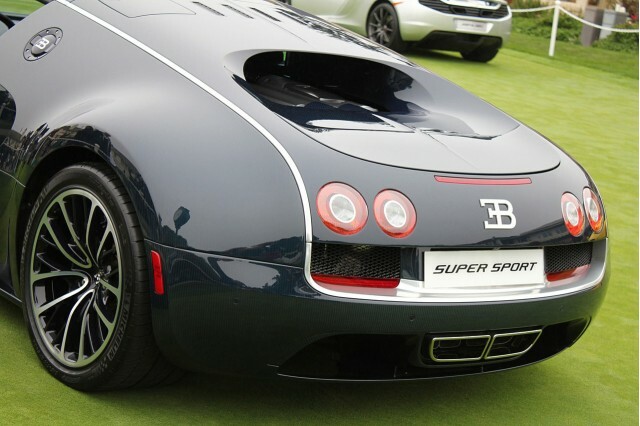 Deja five Super Sport has found a buyer. These copies will carry the colors black and orange of the car that just beat a world record. In addition, they will receive the "World Record Edition" plaque.